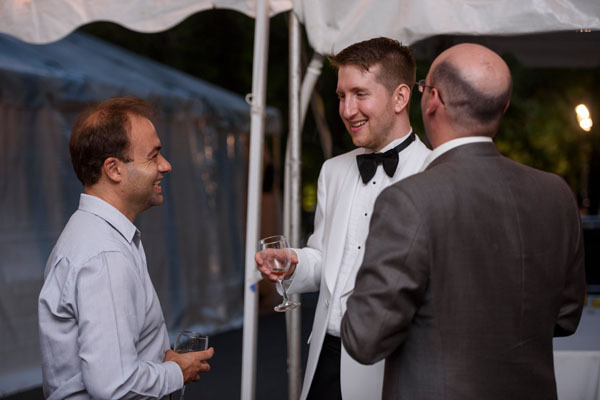 Almost 600 people attended this year’s annual Usdan Summer Camp for the Arts Annual Gala —“Dreaming in the Woods”— on Thursday, August 3rd, Held in a tent on the Camp’s beautiful 140-acre wooded campus in Wheatley Heights on Long Island, it was the most successful Usdan fundraiser to date. The event began with a concert featuring many of the students showcasing the skills developed over the 2017 Season. At the sit-down dinner that followed, top-notch performances included Hedgecock Fellow Christopher Edwards (11th grade violinist from Brentwood, Long Island); Shoring Fellow Andrew Kupferman (12th grade percussionist from Oakland Gardens, Queens) and Ross Fellow Ashley Slapo (12th grade flutist from Medford, Long Island). And, throughout the evening, a Kids’ Carnival – with fun and games donated by Marcy and Abe Kaplan—kept the younger attendees engaged. VIPs on hand: Jennifer Allan Soros, John Bennardo (Legacy Builders), John & Eva Usdan, Susan Weber (Historian/former ED Open Society Institute), Margaret Williams and Richard Eisenberg. Lesley Friedman Rosenthal, Lillian and Joel Cohen, Dale and Debra Lewis (Arts Reach Fund), Marian Conway (NY Community Bank Foundation), Gerald and Nancy Federlein, Philip Santoli, Dr. Jerrold Ross (Dean, St. John’s University, School of Education), Liz Axelrod, Lisa Valentine, Angela Jaggar, Ned Wight, along with Usdan’s Executive Director Lauren Brandt Schloss, Usdan’s Artist-in-Residence Pedro Lasch and choreographer Juliana May, many parents of current Usdan students, celebrating the evening honorees Amy Hagedorn (philanthropist; posthumously honored) –accepted by Amy’s grandaughter and Usdan alumna, Shaye O’Beirne—as well as John Corrado (Suffolk Transportation Services), Kevin Clifford (Huntington Coach Corporation), and longtime Usdan staffers Amy Schecher (Director of Student Leadership Programs) and Andrew Copper (former Associate Executive Director). 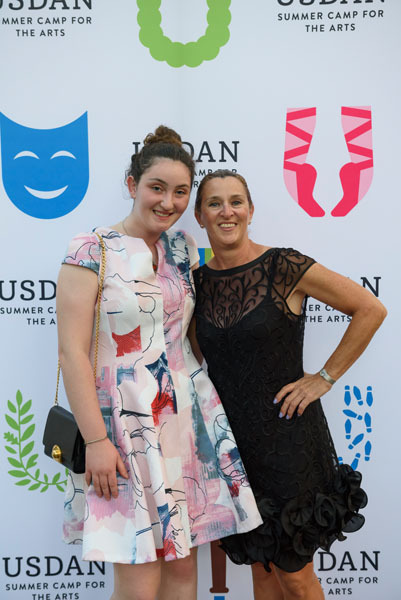 The nation’s preeminent not-for-profit day camp for the arts, Usdan (usdan.org) has been declared a “Best Of” camp by TimeOutNY/Kids, and by NY Metro Parents. 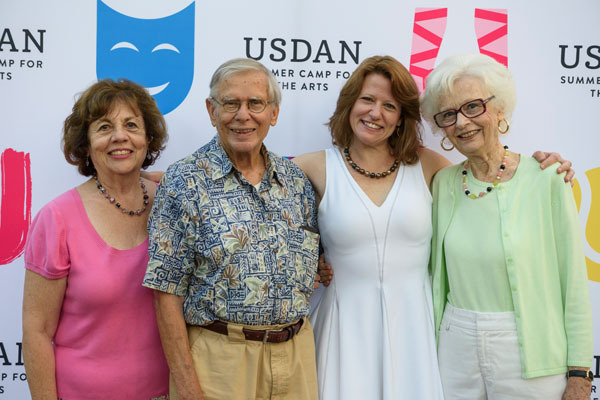 Diverse and playfully rigorous from the start, for nearly fifty years we have brought world-class teachers and visiting artists – actors, directors, playwrights, painters, sculptors, musicians, composers, dancers, poets and novelists – to teach and collaborate with Usdan campers ages 4 to 18. Usdan Summer Camp for the Arts ignites each child’s artistic spirit in a fun, welcoming environment. We believe art making is brave making, friend making, freedom making and future making. 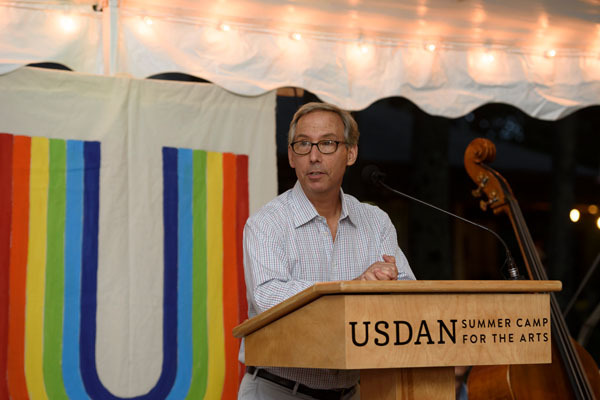 Usdan is an agency of the UJA-Federation of New York.